Here is delicious dessert treat using mangoes and tapioca pearls. Now its mango season; mango is a great fusion ingredient for most of the desserts. 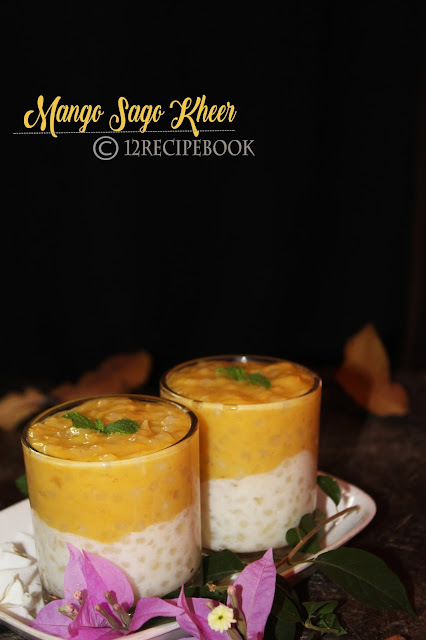 Sago kheer is a simple sweet preparation. 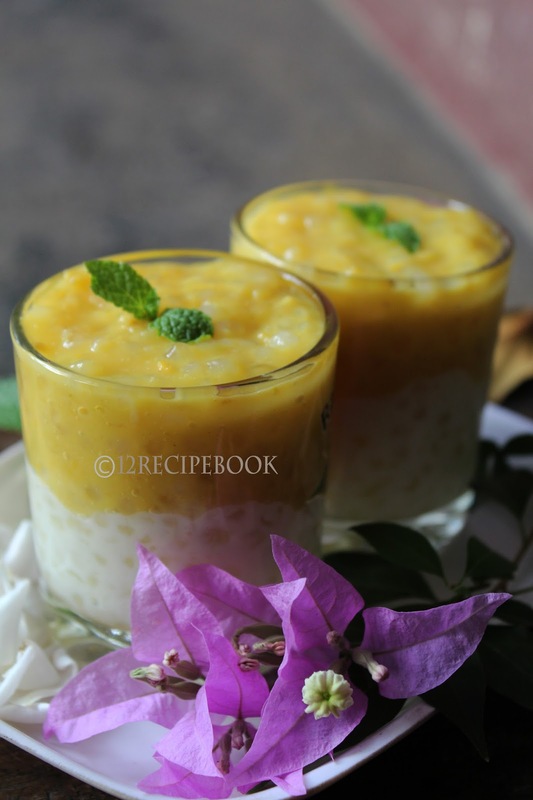 Addition of condensed milk and mango puree makes it more yum!!! Soak sago pearls in water for two hours. Drain it and pressure cooks it for one whistle by adding a cup of water and a pinch of salt. Open the lid after cools down. Add milk in to cooked sago and boil. When it boils add condensed milk and cardamom powder. Stir until starts thickening. Now divide the sago kheer in to two parts. Mix one part with 1/2 cup of thick mango puree. Now top the serving glass with white sago kheer at half the level of glass. Top it with the mango-sago mix. Note: Use well sweet mangoes; if mangoes are not so sweet; then mix it with little sugar.